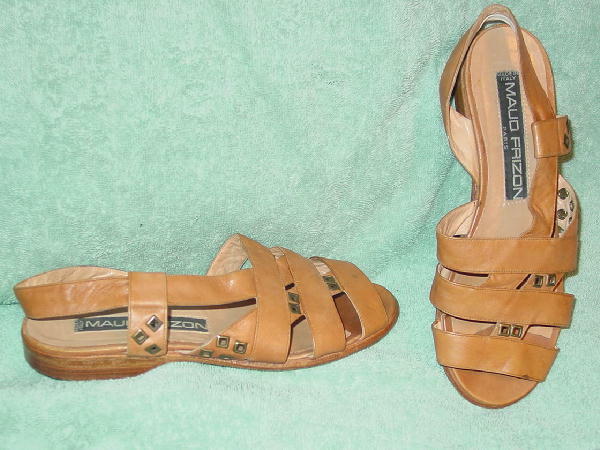 These camel color leather vintage Maud Frizon Paris sandals were made in Italy. There are box-shaped brass grommet accents on two of the outer straps (11 total on each shoe). 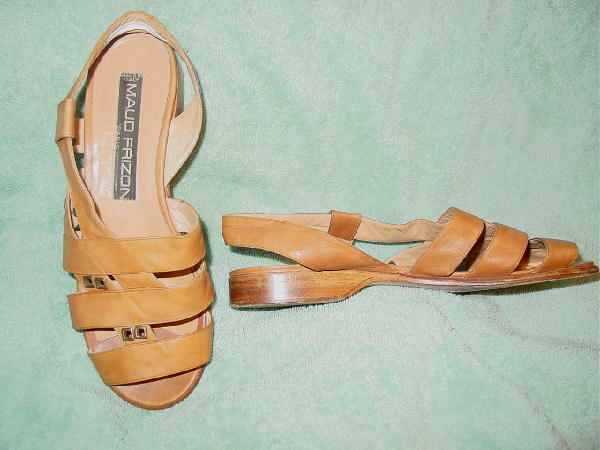 The left shoe has a dark spot on the front strap and a line mark on the third horizontal strap. 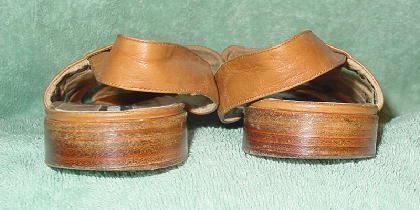 Both shoes have the outer back part of the heel worn down a bit more than the rest of the heel.